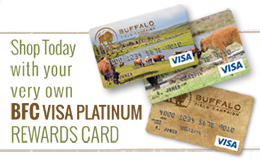 Because of their ecological, historic, and cultural significance, BFC proposes that buffalo are worthy of their own “Bill of Rights.” Together, through our mission, BFC’s Board of Directors, staff, and volunteers strive to defend the rights of these endangered animals. Allowed to remain wild, existing in their natural state, in their native habitats, and for their own sake. Honored and respected for their cultural and spiritual significance to the Indigenous People of this continent. Recognized for their potential to educate our communities about sustainable and achievable co-existence between humans, wildlife, and the natural systems upon which our mutual existence depends. Permitted to fully re-establish their historical migration patterns. Helped to establish a sustainable population growth rate. Appreciated and permitted to fulfill their inherent ecological role within their native range. Free to live their entire natural life cycles as a wild species. Sustained as the genetic wellspring for future wild, free-ranging buffalo populations. We invite you to explore our website to learn, inquire, and become involved! Want to find out about how BFC came to be? Check out our History page!